Why is TRUST suddenly such a hot topic in business? The reality is, the topic of trust, which includes trustworthiness and distrust, has always been a hot topic. It’s just one that’s been bubbling under the surface and over time, boiled over to the point where action is required to either earn, build, maintain or regain trust. Paradoxically, with what seems to be a wave after wave of breaches of our trust, we may have reached a point where we can now positively benefit from the negative experiences. Author of A Matter of Trust – the Practice of Ethics in Finance, Clare Payne wrote an article in last week’s BOSS Magazine titled Lessons in who can be relied on. In the article, Clare suggests the big positive to come out of the world’s current ‘trust crisis’ is that people are more adapt at seeing through the political and corporate spin. I suggest the other positive we are experiencing in a world of dis-trust, is the evidence and realization that NOT being caught if you intentionally (or unintentionally) breach community trust, is becoming increasingly unlikely. In my language, over time, your intentions, promises, actions and results will either promote you as trustworthy, or expose you as untrustworthy. 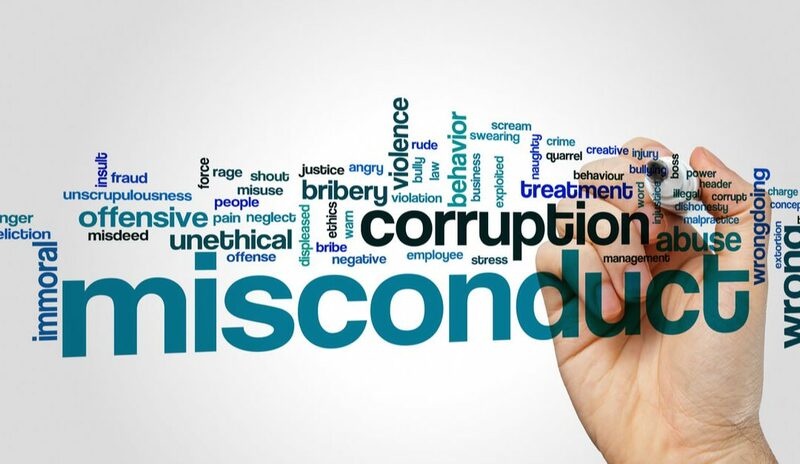 It’s not only mechanisms like the Royal Commissions into Banking and Finance or Aged Care that are raising our awareness of the risks of intentional or unintentional breaches of community trust. Here’s a summary of just some of the more significant events and situations that have and continue to find us in a world of distrust. Many are still reeling from the Global Financial Crisis and the shattering of faith in financial institutions. Distrust is still high, and questions are being asked as to whether any lessons have been learned and whether history will simply repeat itself. The fast pace and volume of digital and technological disruption is contributing to a reported increase in stress, anxiety, depression, overwhelm and burnout among workers. The rise of the ‘Fake News’ phenomenon is casting doubt on who can be trusted. This is not only a question of who we can trust in traditional media, but social media platforms such as Facebook and Google are being challenged on their trustworthiness and intentions. For many years now we’ve seen the growth of ‘cocooning’ where we are increasingly disconnecting and protecting ourselves from the outside world. Going back a few decades, we can turn to the commercial operations of the Lockheed bribery scandals in the seventies, Enron and Tyco International in the 2000s and the more recent emissions scandal of Volkswagen. Sporting examples where our faith and trust have been breached are many, including on-going ‘outing’ of performance enhancing drug users, and the recent Australian cricket team ball tampering. What I’m not trying to do here is provide a complete and exhaustive list of breaches of trust. What I am trying to do is highlight that alone, each of the above examples cause us to trust a little less, but together, this accumulating wave after wave of breaches in our trust has got us to what the Edelman Group’s global research on trust has termed a ‘tipping point’ of trust. In fact, in 2017 the Edelman research reported the largest decline in trust in any single year over the almost two decades of data collection, and in 2018 there has been no significant improvement. Are we then doomed to remain in a world of distrust? As Clare Payne highlights in her article, these waves of breaches of our trust, across all institutions, are helping us to become even more resolved and even more diligent in holding people to account for their intentions and their actions. While social media might be a contributor in many ways to this global trust crisis, it is also part of the solution… and a big part. Anyone with a mobile phone, or an opinion can readily and freely post and highlight breaches of trust to the world. This is causing a major shift in trust. Where traditionally trust was almost just a ‘given’ for institutions and positional leaders, the deciding of who we can trust is now very much in the hands of everyday people. We are more likely to trust the on-line opinions of employees of an organisation rather than the ‘spin’ of the organisational marketing machine. The rise and rise of the ‘share-economy’ is built on everyday people’s ratings of the service they’ve been provided (and users of these services are also being rated as good or bad customers). Thinking you might get away with unethical or illegal practices, or just plain sloppy or poor service, is more risky than ever. While there may be waves of breaches of our trust, there is another wave emerging, a renaissance even, where the importance of individual and collective character, integrity, ethics and of course… trustworthiness will become expected, measured, applauded and rewarded.